This page tells the story of Varanus salvator, the Asian Water Monitor lizard, which today is one of the most readily accessible large reptiles on this planet - an animal which can be seen in many locations of southeast Asia where water is abundant. We look at the creature's life history, its habits and physical appearance. This article refers specifically to the water monitors to be found in a large public park in Bangkok, Thailand, where they form a memorable and unusual tourist attraction. All photos were taken by the author in Lumpini Park in Bangkok. Lumpini Park is also the subject of another webpage by this author, which can be found in the links at the foot of this article. Lumpini Park in the capital metropolis of Thailand, the City of Bangkok, is a green and pleasant open space in the urban sprawl. The lungs of the city, Lumpini Park is a landscaped garden of ornamental flowering trees and carefully manicured and well watered lawns and flower beds. In the middle is an attractive boating lake with fountains. Bangkok residents and tourists alike will come to this park to relax away from the noises and smells of the city, to stroll along the walkways, to jog and exercise, or just to sit and contemplate and while away the hours. And because this is a haven of tranquility and beauty, the visitors expect to share their park with attractive flower beds and graceful butterflies and cute little squirrels and pretty song birds, and of course - enormous six foot long reptiles. Six foot long reptiles??!!! Yes indeed. There are few places in the world where such outlandish modern day dragons can be found in close proximity to humans. But thankfully you don't need to be a modern day St George to survive here, and these dragons certainly don't need slaying. They are a species of monitor lizard, and they are indeed closely related to and quite similar in appearance to the infamous and lethal Komodo Dragon of Indonesia. But there the similarities end. Though theoretically capable of harming a very small child, in practice the lizards in Lumpini Park seem inoffensive and would much rather slip gently away into the water the moment a human being gets too close; I am not aware of any incidents of aggression being recorded in the park. All animals which possess backbones are included in the Phylum Chordata. The Chordata comprises five main living groupings or 'Classes'. These classes are the Fish, the Amphibia, the Birds, the Mammals, and the Reptilia, to which Varanus salvator belongs. The Reptilia consists of four divisions or 'Orders' the members of which all have similar characteristics to each other, and one of these orders is the Squamata which incorporates the snakes and lizards. All lizards belong to the Suborder Sauria, and monitors are to be found in the Family Varanidae. 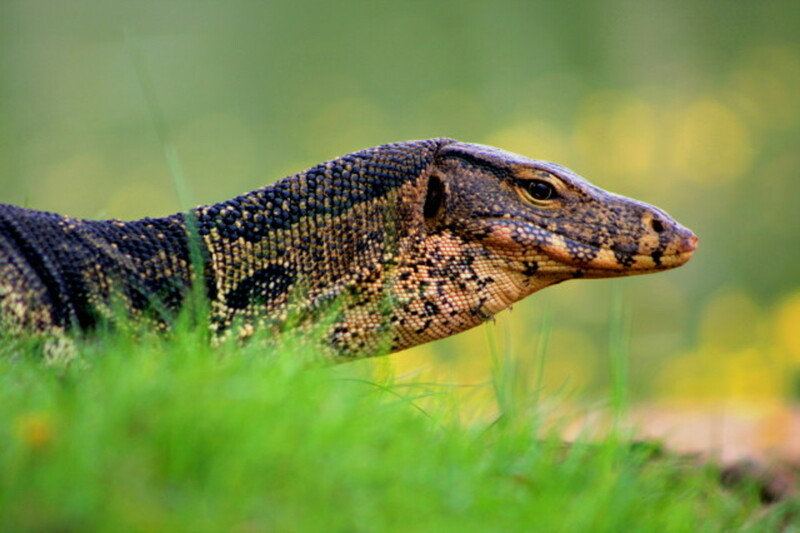 The breeding cycle of the Asian Water Monitor begins around April in regions with pronounced wet and dry seasons, and may continue until October. But in regions without a wet season, breeding may occur at any time of year. 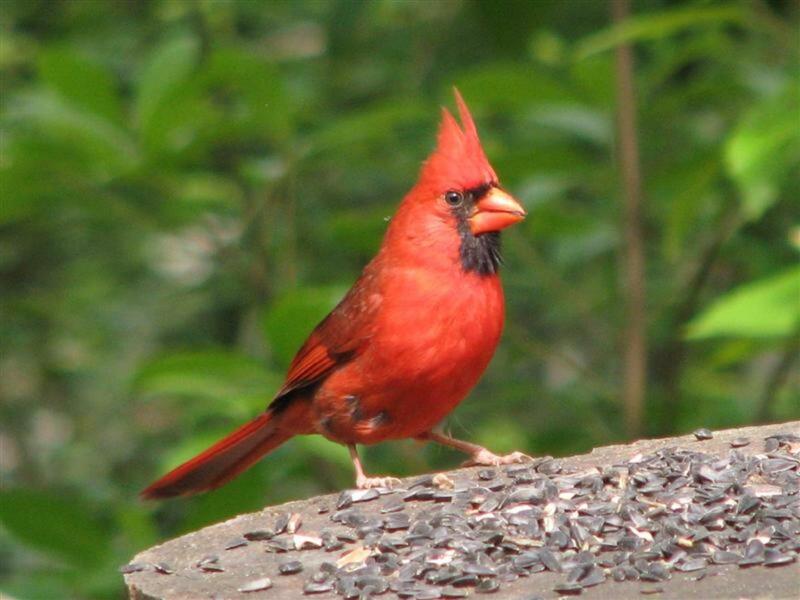 Each female produces up to 40 eggs per year, but usually these will be in two or more clutches laid in natural mounds such as termite hills, or in rotten or hollow tree trunks or in excavated burrows. Good, well protected sites may be communally used by several lizards. Usually the nest will be covered over after laying. 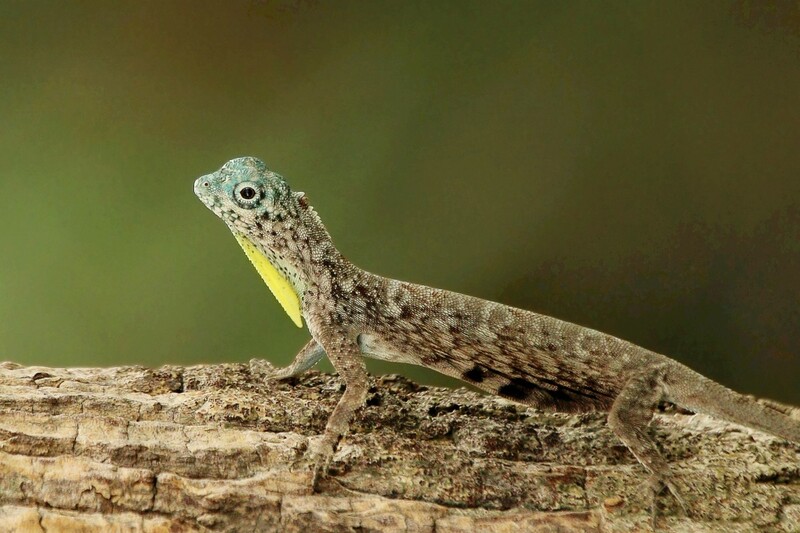 Incubation takes several months though this can vary considerably according to the climate and the season of laying - an adaptability which has greatly assisted the lizard's widespread distribution throughout southeast Asia. Hatchlings are about 30 cms (12 ins) long. Juvenile lizards are quite brightly coloured with yellow blotches against a darker background and yellow bands on the tail. These young monitors tend to be more timid than adults and hide away rather more. Usually it will take about 2 years to reach maturity, and adults can then live for about 15 years. Varanus salvator is the most common species of monitor lizard to be found on the continent of Asia, occurring all through the southeast from India and Sri Lanka to Malaysia, Indonesia, Borneo and the Philippines - the widest range of any species. Water monitors can attain a length of 3m (10 ft), and a weight of more than 25kg (55 lb) making them genuinely alligator-sized creatures, and one of the very largest species of monitor after the Komodo Dragon. It must be said however, that the great majority including those in Lumpini Park are much smaller - between 1 and 2m (3 ft to 6 ft) in length. 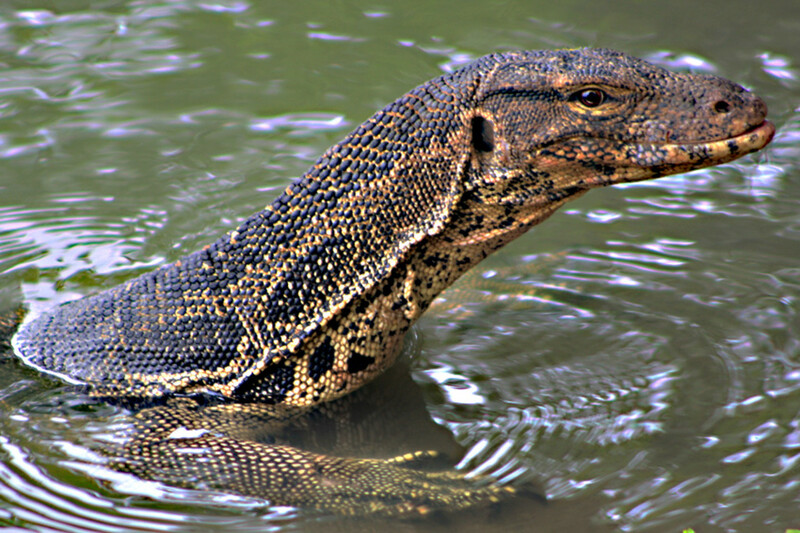 The adult water monitor typically has a muscular brown-grey body with light patterning along the flank, and a pale underside. Patterning may vary within different subspecies. 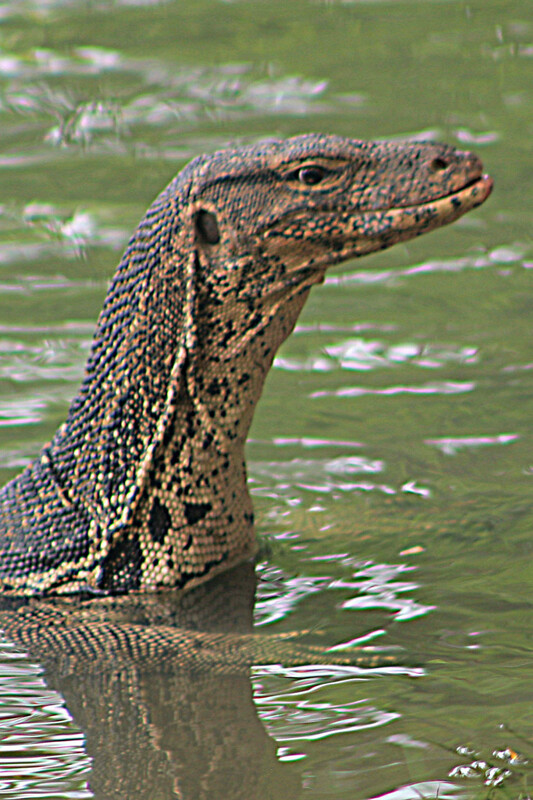 Water monitors have a characteristically long and narrow head and neck, and a long and laterally compressed tail. This species V. salvator, should not be confused with the similarly named V. salvadorii - the crocodile monitor - a quite different species which lives in New Guinea. Most active in daylight, V. salvator tends to lead a solitary life, but these lizards are not particularly territorial. Usually the days are spent basking in the sun, or hiding away in burrows dug into river and lake banks. These burrows may be excavated deep into the ground and may be up to 9m (30 ft) long. However in Lumpini Park, the lizards make good use of artificial man-made burrows - the drainage water pipes which regulate the lake's supply of water. 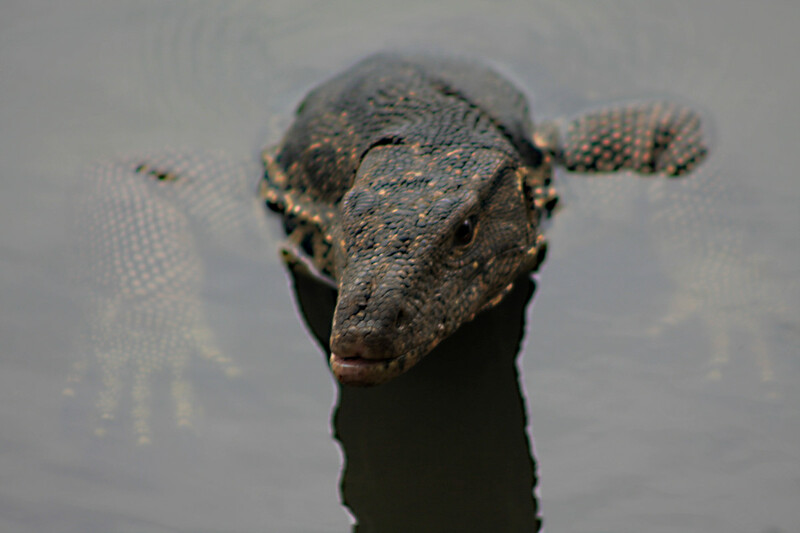 Swimming, unsurprisingly, is the forte of the Asian Water Monitor, and with their powerful tail swayed side to side like a paddle and their legs tucked in along the side to streamline the body, these lizards are capable of traversing large bodies of water. This has enabled them to occupy many islands in the Indian Ocean, the Andaman Sea and the Indonesian archipelago. 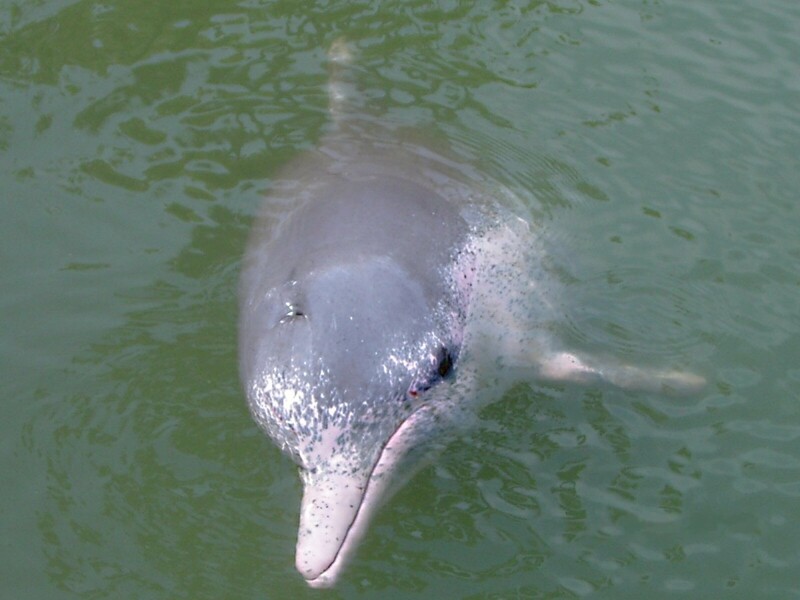 Typically their aquatic behaviour means that they are to be found along shorelines and mangrove coasts, but also in rivers and inland lakes. However these most adaptable of creatures are also at home on dry land, some distance from water, and at altitudes of up to 1,000 m (3,300 ft). They are also quite capable climbers - a versatility which undoubtedly helps in their success as a species. Most species of Varanus are exclusively carnivorous, and Varanus salvator is no exception. It certainly isn't fussy about what it eats either. 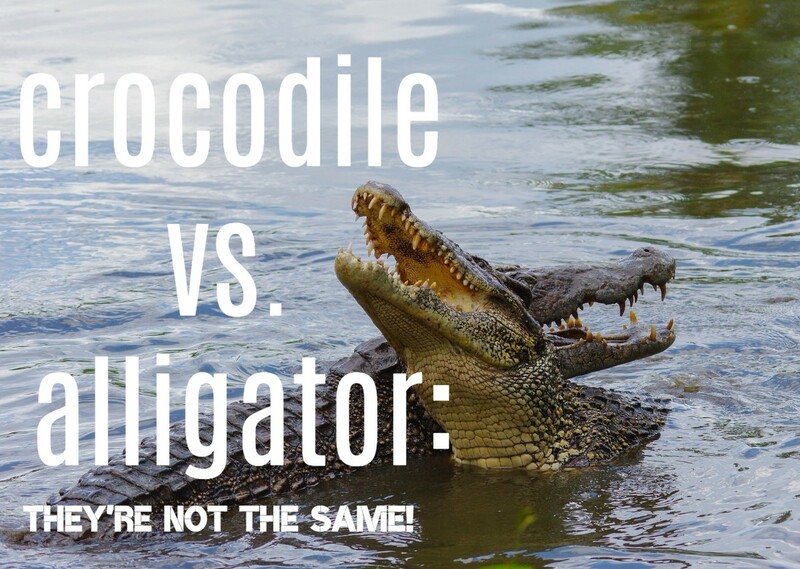 Anything it can cope with is fair game, including insects and snails, fish and frogs, birds and small mammals, and reptiles including young crocodiles. 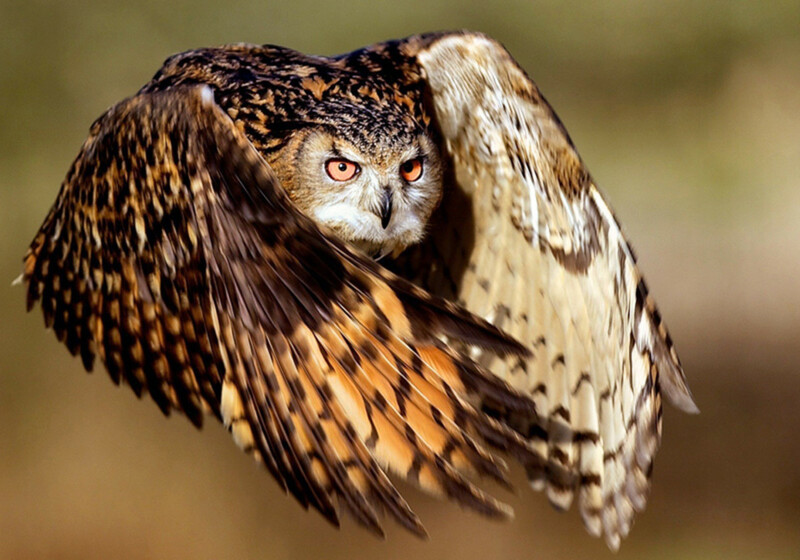 On land, their powerful leg muscles are used to chase and hunt down prey, and their climbing ability enables this species to raid birds nests too. But of course the monitors are equally adept at pursuing prey in their favoured aquatic habitat. And they will also scavenge when the opportunity arises, without too much concern over the freshness of the carrion. In turn, the monitors may be hunted by larger crocodiles, and juveniles may be vulnerable to birds of prey and large water birds such as herons. In some rural localities they are also be used as a source of food by humans. To escape from predators a monitor can remain submerged for long periods of time (up to half an hour). But away from water it will run with alacrity, hide under vegetation, climb trees, or utilise the burrows and holes which are its preferred shelter on dry land. The status of the Water Monitor in the world today - like all animals - is impacted upon by the presence of man. Loss of habitat is of course a major problem. In some locations numbers have declined considerably through hunting for skins to be made into fashion goods. Potions are made too out of various body parts for sale in the far East as aphrodisiacs, skin ointments and medicinal tea. Roadkill is also a significant factor in lizard deaths. 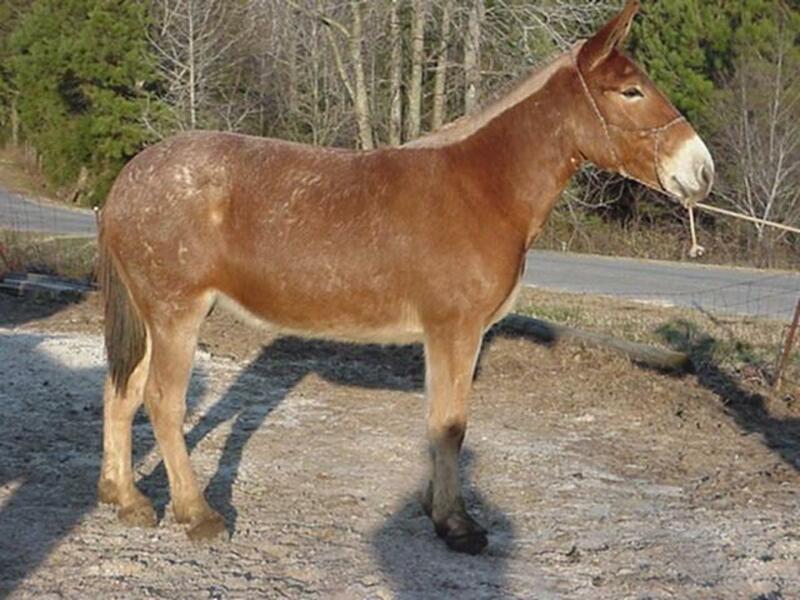 However despite these negatives, this remains one of the region's most successful wild animal species. In some countries such as Thailand, the lizard is protected by law. In addition, high reproductive rates, the ability to rapidly spread and colonise new land though its swimming prowess, tolerance of different climates and the incredible adaptability of the species to a wide range of conditions and food supplies, have all contributed to its level of success. 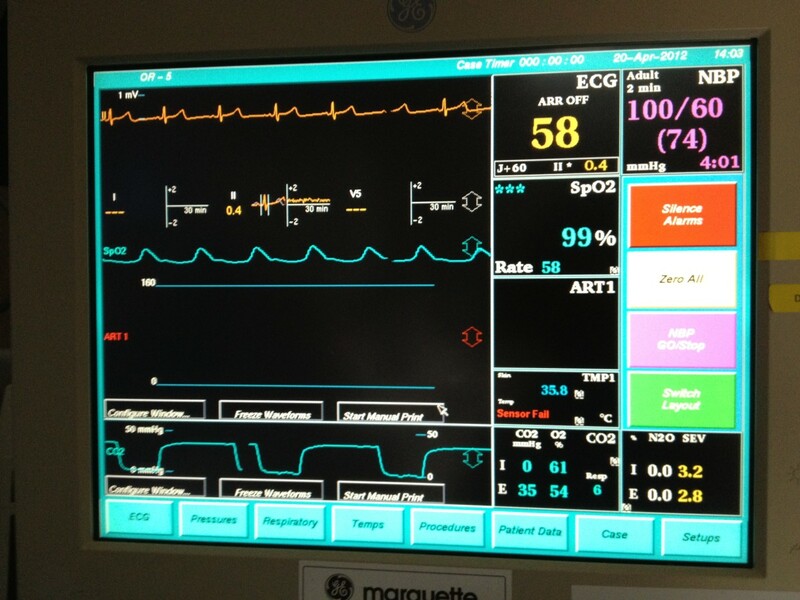 What's more, as we have seen, the monitor in safe environments has no problem living next door to man. 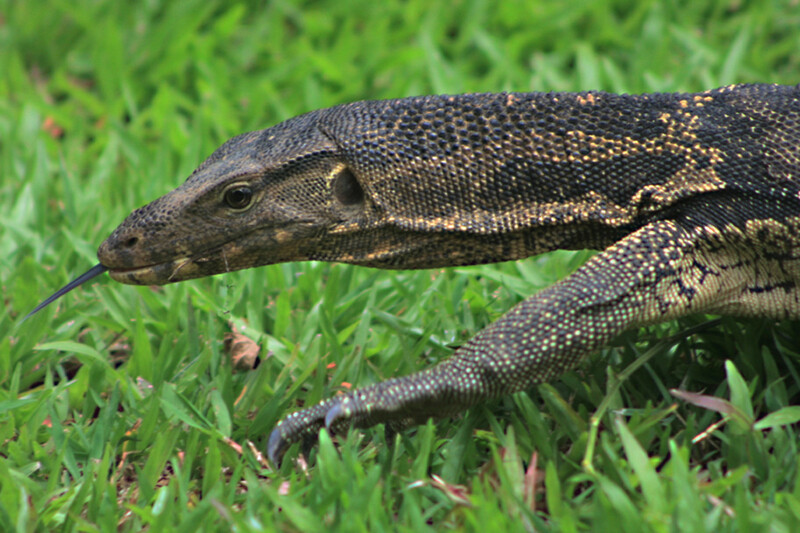 Varanus salvator in Lumpini Park, Bangkok, is a tame and a remarkably common creature. One only has to spend an hour wandering the edges of the ornamental lake to be sure of seeing a dozen or more. But Lumpini Park is not unique in this regard. In these days of sanitised living conditions in which humans live closeted lives and wildlife is kept strictly in its place, one usually has to travel very far, and sometimes to fenced off nature reserves, if one wishes to see the more impressive members of the animal kingdom. Therefore, although a giant lizard may not be a creature to love, it is certainly a creature to cherish as one of the most exotic of animals readily seen in tropical Asia. Anyone with an interest in wildlife should make the effort to seek out the water monitor. 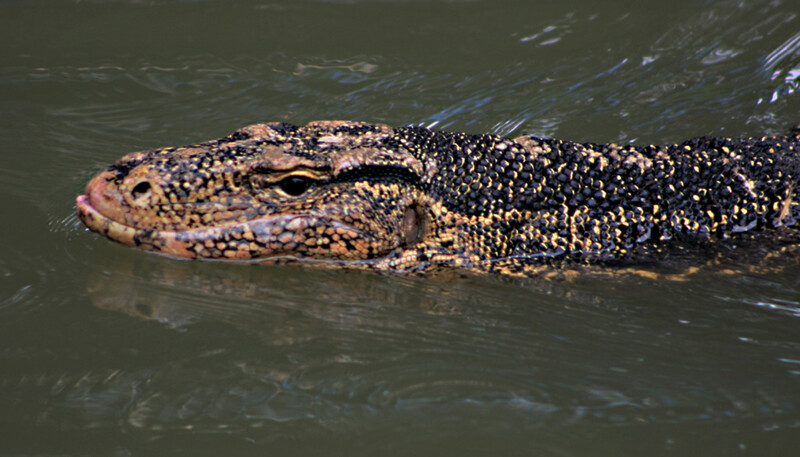 In Lumpini Park in Bangkok, it is easy to do this, but wherever one lives or visits in southern and eastern Asia, the Water Monitor is undoubtedly one of the wildlife sights to see. Aashritha: Not really underground, Aasritha, but they will burrow for protection of themselves or their eggs. Most of their activity however is above ground, hunting and basking in the sun to get energy from the sun's rays. water monitors are one of the coolest creatures in the world and also I am doing a Water Monitor for a school project. Eric vois morris; Sorry I could not reply earlier Eric. It is probably too late for me to offer advice to you now, but for anyone else who experiences a bite from a water monitor, I suspect the only advice is to seek medical help (a vet in the case of a pet). As far as I'm aware there are no specific dangers - I do not think, for example, that they carry rabies, though I stand to be corrected on that. 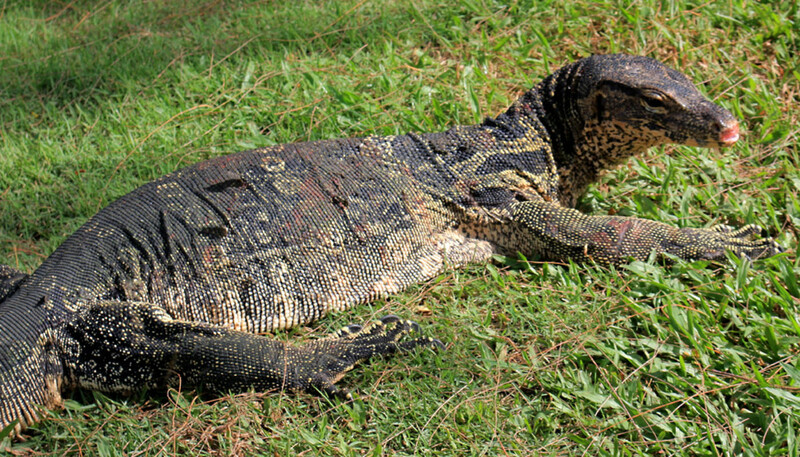 Bites by Asian Water Monitors are extremely rare given their close proximity to human beings. 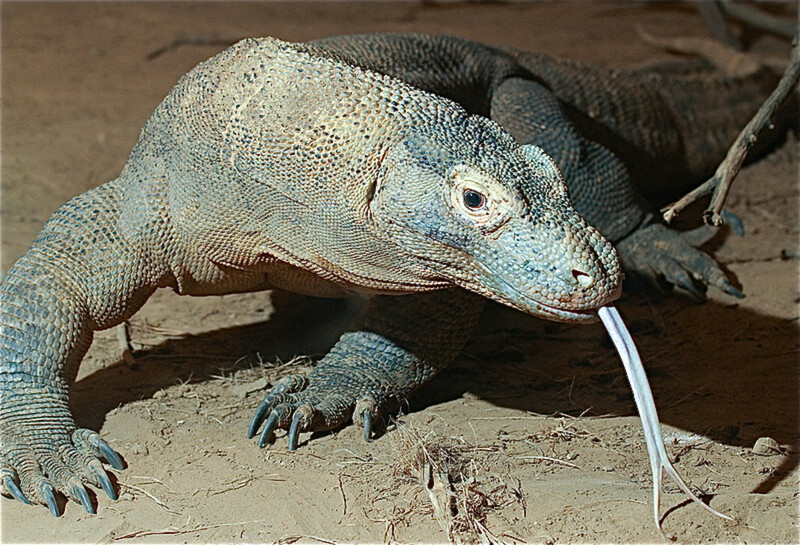 However some relatives (most notoriously the Komodo Dragon) do have a bite which contains venom (NOT toxic bacteria causing blood poisoning as previously thought) and it is of course prudent with any wild animal to seek medical attention after a bite. 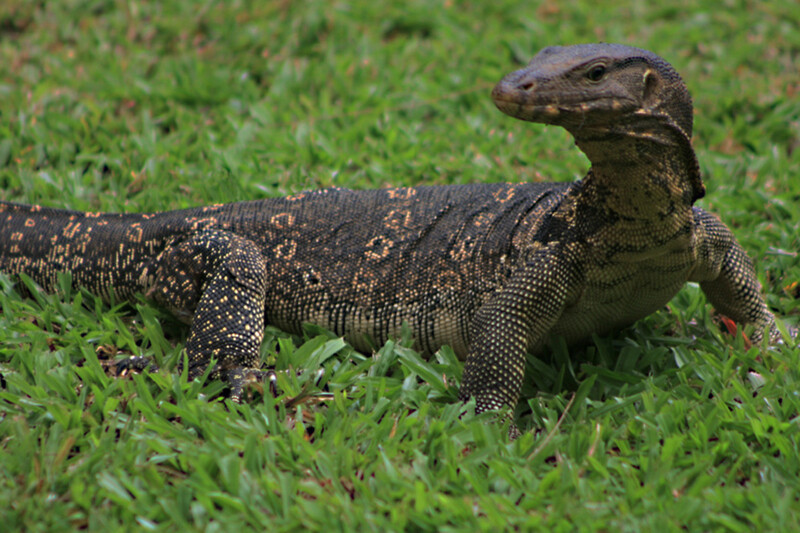 omg i found a water monitor in my back yard it hurt my dog what should i do i need to know?????? Rufiel Maravilla; Thank you Rufiel. It is difficult to advise, but I will try. I am guessing you are in S.E Asia? If so, I think it is very possibly a water monitor in your home. These lizards are not really dangerous, but it can bite if it feels threatened, and if it bites you, it can cause a blood infection due to germs in its mouth. So I certainly would advise against handling it. If you can carry it outside (in the basket) safely, maybe you can release it away from the home, near water? If not, can you call someone - an Animal Rescue Service? I found a lizard on my garbage basket in my room today and it looks like a monitor lizard same appearance from the photos above...i want to touch it but i am afraid,maybe it can bite me..?i want to take good care of it...can you give me some advice please?what to do? When I was living in Sri Lanka for a brief period of time, they were everywhere and the locals loved them. They were quite good at keeping rodents and pestilence at bay. Personally, they reminded me too much of the Komodo and triggered my great fear of being bit by one! Pocono foothills; I guess the lizards in Mexico were probably iguanas? They are I think the New World equivalent of Asian monitor lizards both in terms of size and general behaviour. Some can indeed be pretty impressive, and make for an interesting tourist attraction by the swimming pool or on the beach! My thanks for your visit and comment and for those votes! Alun. @Greensleeves Hubs-Very informative Hub and lots of great pictures. When I visited Mexico, we frequently had large lizards basking in the sun by our swimming pool. They looked scary, but they never bothered us. Voted up!! Great Hub. lesliebyars; my thanks and gratitude for the compliments, the votes and tweets. It was a pleasure to write this page and share the experience of these great reptiles which I've seen on several occasions in Bangkok. Alun. This hub was great and the pictures were truly amazing. Voted up and tweeted. When you have been in TH and Isaan, you know, the Thais hunt everything and eat nearly all things! Big Lizards, frogs, snakes (special pythons), turtles of all kinds, rats, bats-flying foxes, eggs of red ants, silkworms, all kinds of insects. Regarding turtles, I passed by a house in the village slowly once and my eye had to realize, the already nearly finished chopping of a big turtle. Alfred; thank you for your visit and for that story. I know Isaan and Udon Thani well because I too have spent time in a village there, but have not seen water monitors killed there. For food? It's a shame to see wild creatures killed in that way. A full grown live lizard is a very impressive sight to see, for anyone interested in nature. Nice to see you on HubPages. Alun. Sadly, I just saw today morning, one nice, long, 1,50 m? -Monitor Lizzard- already dead, put in a fire in the small Village I stay, in Isaan, North Eastern Thailand Province of Udon Thani. The Group of men showed it to me same a trophy. I felt sorry! Two chickens provide more meat than that creature I think! Why have to kill? So good? ;-( I never saw a Reptile that size free moving in TH, only once an even bigger one 20 years ago in Sri Lanka! Wow. That's certainly a dramatic video Sylvain. Makes the water monitor look like a dinosaur! I'll happily retain the link to your video for people to view. Maybe in due course I could incorporate it into my web page. Alun. I bought meat balls in the street to tease it, waying a meat path for dragons to my camera.I put the camera down attached to a stick with robber, then I stood 20 meters from the scene. Dog started to come as they smelled sthing good, I have to busy them with other meat balls. I saw the dragon covering up my camera. Magiiiiic, it s like a star wars spaceship. 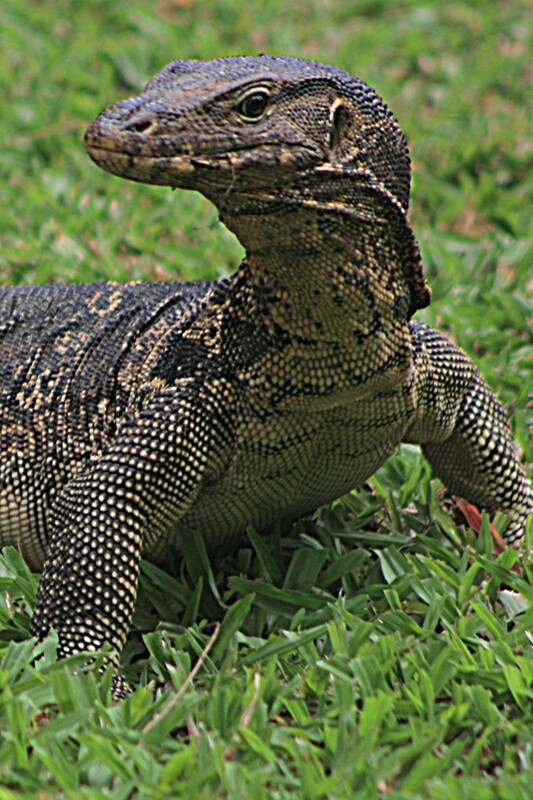 Great information about the monitor lizards Alun :) And they reminds me childhood memories. Had seen them visiting our yards as we live near a river back then. Voted up and shared! AliciaC, thank you very much for your generous comment about this hub. It's much appreciated. It was an enjoyable hub to write, as I've come to know these lizards quite well during several visits to Bangkok. Alun. This is a fascinating hub, Alun, and the photos are wonderful! Thank you very much for sharing the information about this lizard in such an enjoyable and beautiful article. Mandy; Many thanks for that interesting little story. Certainly I can believe that the monitors may shelter in the roof - they are obviously capable of climbing up there and it seems like a very safe place to hide out! With the canal nearby, it seems like an ideal locality. I'm not sure whether there might be other candidates for the scratching sounds you hear, but water monitors in the roof must be a possibility. Thanks. Alun. I just came across your hub to research a bit about these guys as we have a number of them living around our house here in Bangkok. Since moving in a few months ago we have been catching sight of at least 5 of them ranging from a foot long up to 1.5 metres. We have vacant plots both sides of our house and a canal directly behind us. Just this moment the dogs started barking at something outside the upstairs window. I couldn't believe it! there he was, the big one (1.5 metres long), perched in the tree (and this was quite a thin tree). He looked like he was heading for the roof. Took some quick photos before he threw himself out of the tree and back into the canal. We do hear a lot of loud scratching and scurring inside our roof (we live in a house which has a traditional thai roof). Do you think these fellas would hide out up there? Thanks for the visit Eddy and thanks for the warm comment. I think the water monitors are one of the more unusual sights of Bangkok, which anyone who's not too squeamish should take the opportunity to see. Really glad you liked the page. Enjoy your weekend too. All the best. Alun. A great hub and well informed and as always this in turn led to myself learning more from you. Alun, Yes, it's the iguanas. There's an interesting article in the Wall Street Journal's issue of August 19, 2012, which is available in print and online. Thanks Derdriu for your comment. Interesting to hear about the problem Puerto Rico has - Would it be Iguanas in that part of the world? It seems to be the case that some of the larger lizards have developed a lifestyle and tolerance of a range of conditions which enables them to thrive where many other creatures struggle. Alun. Alun, Puerto Rico is being overrun for 6+ feet-long lizards, to the extent that there are more lizards than people! The lizards have no culinary interest on the island even though they are considered delicacies in Central America and the Caribbean. Puerto Ricans did not favor the government's suggestion of bounty hunting. Now entrepreneurs are trying out killing them to ship out as food exports to the mainland! Thanks Lightshare for your comment. I appreciate it. Alun. Thanx green for an informative hub. Pictures also good. Thanks very much Mama Kim! And thanks also for your giraffe story, though not for the mental image it conjures up - not sure I'm sufficiently devoted to wildlife to watch a giraffe picking its nose for 20 minutes, but maybe I'll put it to the test one day!! Apart from that interesting aside, I'm especially glad you say the article is not 'too textbook' - it's usually my aim to keep these kind of hubs fairly light in nature, so thanks for that. I do slightly wonder about the water monitor's 'scaryness'. Given that it's carnivorous, I wonder if these lizards ever pose a danger to human beings. Maybe the lizards are removed once they get too big, but certainly in the case of the lizards in Lumpini Park (maximum 6 ft long), I haven't seen one show the slightest sign of defiance or aggression to people of any age - they either ignore people or keep 5-10 feet distance from people before running or swimming away. Anyway, cheers again; I appreciate your comments. Alun. Thanks Glimmer Twin Fan. For me, as a wildlife enthusiast, these monitors have always been a welcome sight whenever I visit this park which is something I usually do when I spend a few days in Bangkok. I appreciate your comments. Alun. What an interesting creature and hub. Great photos and loaded with information. whowas; Thank you so much for that warm and generous comment. I really appreciate it, and thanks so much for the votes and shares. Certainly the fact that these lizards are so at home on land, and in fresh water and sea water and even climbing trees, and the fact that they can adjust their life history to so many climatic and environmental patterns, gives them an adaptability which - as you say - enables them to survive and thrive in today's human dominated world. Equally, you are so right to imply that even successful species can rapidly deteriorate in numbers if the balance tips too far in the wrong direction. I hope that doesn't happen with the water monitor. WOW! What a gorgeous hub - fascinating information beautifully written and exquisitely presented with amazing photography. This is one of the best natural history hubs I have ever read. Stunning. And such astonishing creatures, too. These are surely among the most beautifully adapted reptiles whose naturally evolved behaviors permit them to survive, even thrive, despite the many threats to their wider environment. Even so, we should not be complacent about their plight but strive to preserve for them their natural habitat. I loved this - voted up, ticked and shared. This awesome! Creepy but awesome. Lot of great info. Interesting and useful.